"Dustin Wong and Takako Minekawa are artistic omnivores, soaking up a myriad of cultural artifacts and styles, savoring bits and pieces and recontexutalizing them into entirely delightful and playfully intricate songs. Their songs are embued with a relentless cheerfulness that belies their technicality, steeped in the history of Japanese pop music and exuding the joy of discovery and exploration. Dustin and Takako are serious musicians not afraid to play it silly. 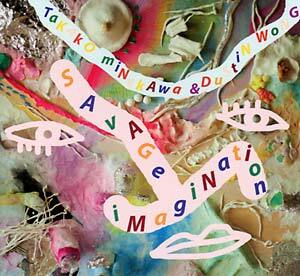 Savage Imagination is their second album as a duo and shows their collaboration in full bloom. It is an collection of vibrant pop music, laced with the sounds of video games, radiophonic experiments, and indigenous music from around the world."